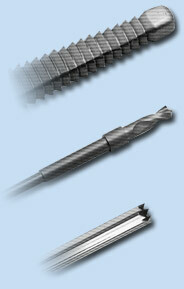 Cutting tools, drills, ancillary equipment for medical use. S.M.A.O. is specialized in design and production of cutting tools, drills and ancillary (Surgical tools), prototypes, small or medium series. S.M.A.O. and his team are at your disposal to provide the technical support to your project. We manufacture high-tech products through a combination of methods production of high technology and hyper-qualified personnel.